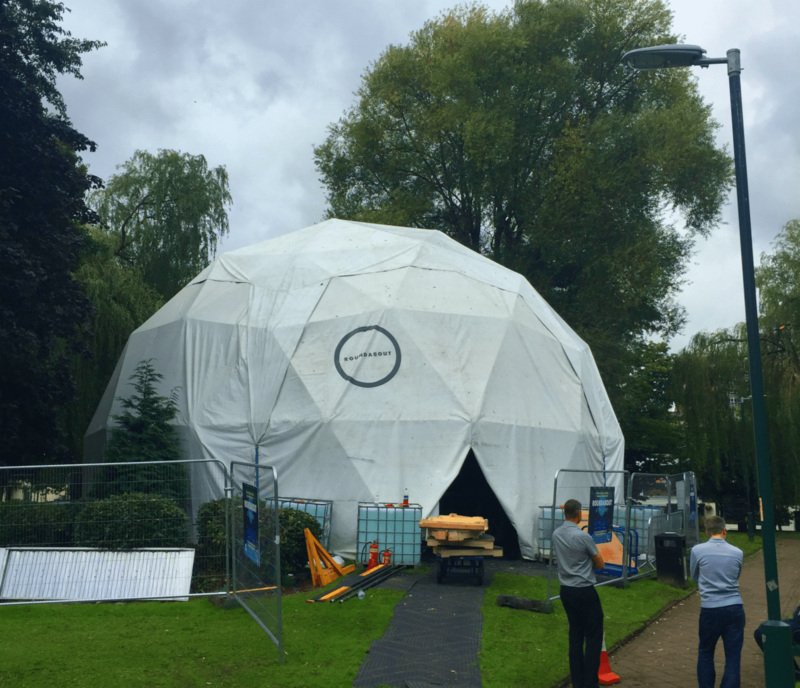 Theatre lovers are in for a treat this week in Eccles as the town hosts a pop-up auditorium as part of the Love Eccles festival. 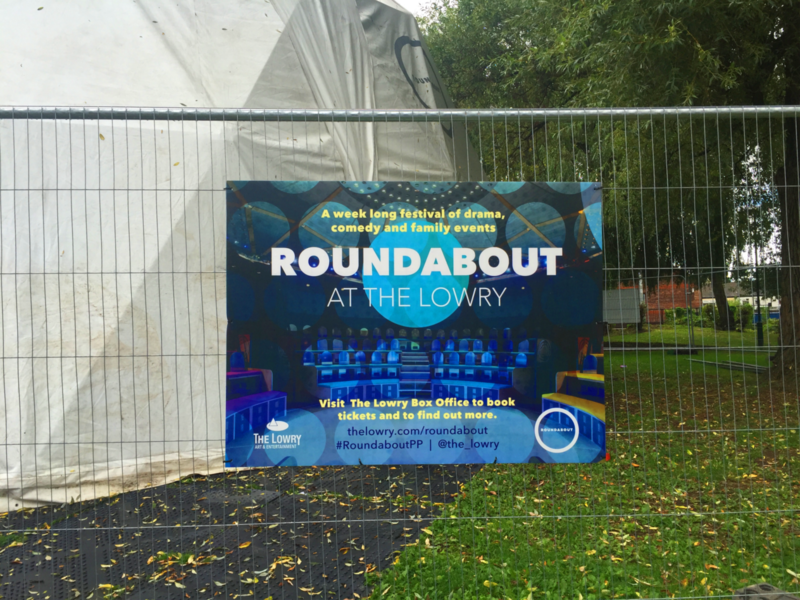 Roundabout, a giant moveable theatre space, has been built in the leafy grounds of St Mary’s Church on Church Street and will show three plays for different audiences from Thursday 8 to Sunday 11 September. On the bill are three of the best new plays around: the first is ‘Growth’, a comedy by Luke Norris, reviewed by The Scotsman as “genuinely laugh-out-loud funny”. That gets its first showing on Friday 9 September at 2.30pm, which organisers say will be a ‘baby friendly performance’, before a more adult version at 8pm the same night. Second on the roster is Alan Harris’ ‘Love Lies and Taxidermy’, an offbeat love story about a failed ice-cream seller’s daughter and her meeting with the son of a Polish taxidermist. It’ll be the first play to be shown at the Roundabout with the first performance tonight, Thursday 8 September at 7.30pm. There’s also a captioned show on Saturday 10 September at 7.30pm, ending with a baby-friendly performance on Sunday 11 September at 4.30pm. Last up is ‘I Got Superpowers for My Birthday’ a play for children age 7 and above by Katie Douglas. The fast-moving, energetic fable follows teenagers Ethan, William and Fiona as they embark on an epic quest to save the world from evil supervillain The Darkness. The play will feature three performances: Friday 9 September at 11am, Saturday 10 September at 3pm and Sunday 11 September at 2.30pm. For all those interesting in being witness to this unique event, tickets for the plays are just £5 each. 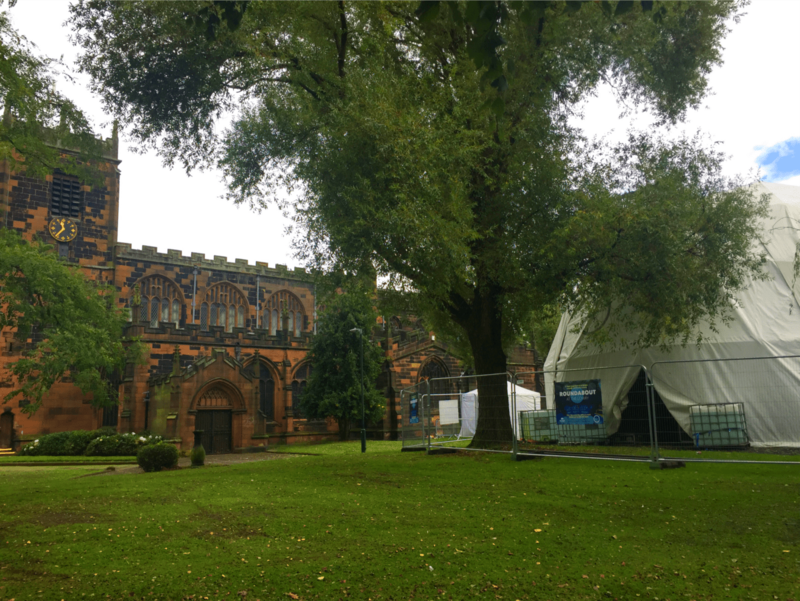 Tickets are available from a box-office set up next door to the theatre space at St Mary’s Church. You can also buy tickets online at The Lowry website or by clicking through to the links above.